Set in Peru during the 1950s, Aunt Julia and the Scriptwriter is the story of an 18 year old student who falls for a 32 year old divorcee. Mario, an aspiring writer, works at a radio station that broadcasts, live each day, up to a half-dozen short-run soap operas. At the same time that the author meets his "Aunt Julia", the radio station, which had been buying scripts by weight from Cuba, hires a Bolivian scriptwriter named Pedro Camacho to write the serials. The novel chronicles the scriptwriter's rise and fall in tandem with the protagonist's affair. 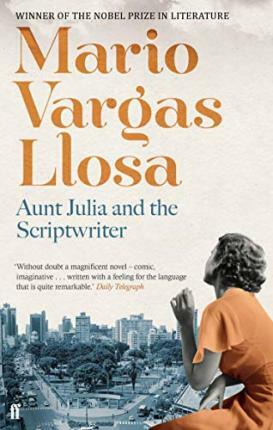 With novels including The War of the End of the World, Aunt Julia and the Scriptwriter, The Notebooks of Don Rigoberto and The Feast of the Goat, Mario Vargas Llosa has established an international reputation as one of the Latin America's most important authors.